Surrounded by beautiful coasts, with biomes ranging from a tropical rainforest to a desert, incredible food, and weather that will provide plenty of sun for bathing or rain to sing in, Puerto Rico is an incredible island that can keep you in awe 365 days a year. 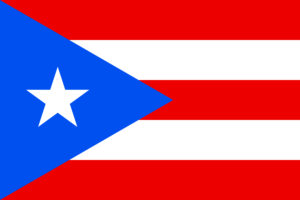 An official Puerto Rican information site. A great site to find quick trips and explore some beautiful sites Puerto Rico has to offer. A classic for vacations, and for good reason, filled with lots of information on traveling in Puerto Rico. Driving on the island is a little more “exciting” than on the mainland so expect the unexpected. It will take a while to get used to some of the more creative parking, and watch out for cars that pull out into traffic trying to make a left turn. Distances on the island are in kilometers, but not speed limit signs – nope – those are in MPH. Sometimes exit signs on highways or street signs on surface streets may be missing or unusually placed. Sold mostly by the liter, not gallon, and more often than not, you’ll have to prepay at the register. If you want a complete fill-up, you’ll most likely have to leave your credit card and photo ID with the cashier. Police, ambulances, fire trucks, and many commercial trucks will have their flashing lights most the time – no need to pull over. If you hear the sirens then follow normal procedures as you would in the States to allow emergency vehicles to pass, or find a safe place to pull over in the case of a police vehicle. Toll roads are all over the island and have a way of sneaking up. The best way to not worry about these is to obtain an AutoExpresso tag for your car. They are read from a scanner and the toll will be deducted automatically as you drive through. You can refill them online or at the toll booths in the right lanes, which are also the lanes which you will need to use if you do not have a tag. How do you know if you need to reload the tag? When you drive through the toll the light will flash yellow instead of green, that means you have a remaining balance of five dollars or less. Google maps, Apple maps and the like are sometimes inaccurate, so be cautious when using these – the best bet is keep an old paper map in the car just in case.